It’s easy to forget that to most folks, it’s hard to discern points and point valuations. That’s why I wrote the article: A point is not equal to a point… or a mile. So I’d like to quickly address a question I’ve seen come up over and over since the early August rollout of new SPG Personal and Business Amex card offers. Currently, the bonus for the SPG Amex (personal) is 75,000 points when you spend $3,000 in 3 months and, for the Business flavor, 100,000 points when you spend $5,000 in 3 months. Both have their annual fee waived the first year. Now, where is the confusion? Many remember these same cards had bonuses ranging from 25,000 – 35,000 signup points up until early this year. Therefore, these new signup bonuses have to be divided by 3 to figure out how they compare to past offers. The Personal card, at 75,000 Marriott points, is equal to 25,000 “old” Starpoints – a standard offer. The 100,000 point business card equates to 33,333 “old” Starpoints. This is a bit better as the old card offer sometimes only got as high as 35,000 points with more minimum spend (for example, $7,000 instead of $5,000 in 3 months). Another thing you need to know is that starting August 26, if you have a Chase Marriott card, you won’t be eligible for any SPG Amex bonuses unless you close the Marriott card and wait 30 days for the personal SPG Amex and a whopping 24 months for the SPG Business or about-to-launch Luxury cards. But from now until Aug 26th, even Chase Marriott cardholders can apply for either of the SPG Amex signup offers. 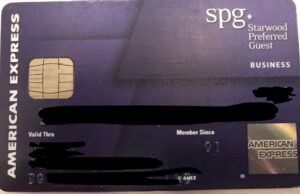 Additionally, the new SPG Luxury Amex will be launching on August 23rd. It will have the same restrictions, but again, not until the 26th, offering Marriott cardholders an opportunity, for just 3 days, to get this card without waiting 2 years. I know this is confusing, so please ask questions if it’s still not clear. The bonuses are worthwhile, if only because of how hard it will be to get any bonuses after August 25th. See my article RANT: It’s getting A LOT harder to earn Marriott points for more on that. And if you do apply for any hotel credit cards and use these MilesTalk links, please know that I earn a commission which keeps this site going. 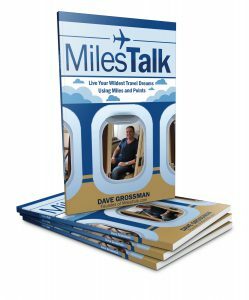 You can ask me questions here, on Twitter, via the MilesTalk LiveChat (bottom right of this page) or in the private MilesTalk Facebook group.